We provide comprehensive COSHH assessment templates, completed by professional safety experts, to assist with your own documentation. This package includes a series of completed COSHH assessments for key substances and products used in the building and construction industry. Ideal for those who need some help with their COSHH assessments. Our professional safety consultants can prepare your specific COSHH assessments based on the Material Data Sheets of the products you use in the workplace. 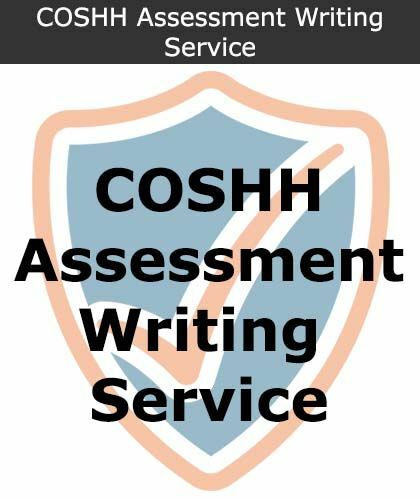 This COSHH Assessment Writing Service is based on a per product basis – for more information please call us on 01237 477 931. COSHH Assessments focus on the hazards and risks in the workplace from hazardous substances. Whereas traditional assessments may only focus on items labelled as a hazard, the COSHH assessment will look at the workplace as a whole, for a more in-depth and thorough report, that then allows you to put appropriate measures in place. Your COSHH Assessment must be written down by law if you have five or more employees. This report should include hazards, those who are at risk and also the precautions that have been put in place. COSHH Assessment Templates or Writing Services are available to help make this process easier and less time consuming for your business.